There was pandemonium at Paloma Hotel in Accra Saturday evening when music producer Bulldog allegedly attacked Dancehall artiste, Stonebwoy and his crew who were holding a mini concert at the hotel. Gunshots rang in the hotel causing panic among guests and hotel staff. A younger brother of the musician, who was at the concert is said to have been injured and has made a complaint of assault and theft against Bulldog born Lawrence Nana Asiamah Hanson at the Nima Police station. Eyewitnesses said Bulldog’s men hit Stonebwoy's brother, snatched his wallet containing an unspecified amount of money and attempted to seize the musician's Mercedes Benz. 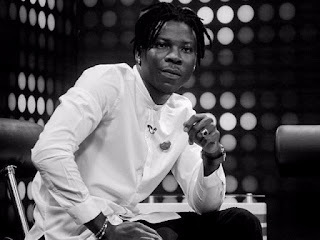 Stonebwoy, born Livingstone Etse Satekla, told Joy News' Becky that he had finished a performance on the University of Ghana campus and was at Paloma to support KelvinBwoy who was holding his ‘AfroBeats’ tour there. "I just got off the stage at Legon [Liman Hall], and it was a super performance like I always do. So we drove over to Champs for the next event. "We were chilling in the room and then we heard bang...and cursing..." he said. The Jungle hitmaker said he had sent his brother to the car to bring his clothes when they heard the commotion. "They hit [my brother] on the lips, they took the car keys from him and they sat in the car...if not for my bodyguard, they would have driven my car away and that would have been something else," he recounted. "I think in this country so many people are taking the law into their own hands because certain people in authority give them their support," he said.